I’ve been making things out of wood lately. 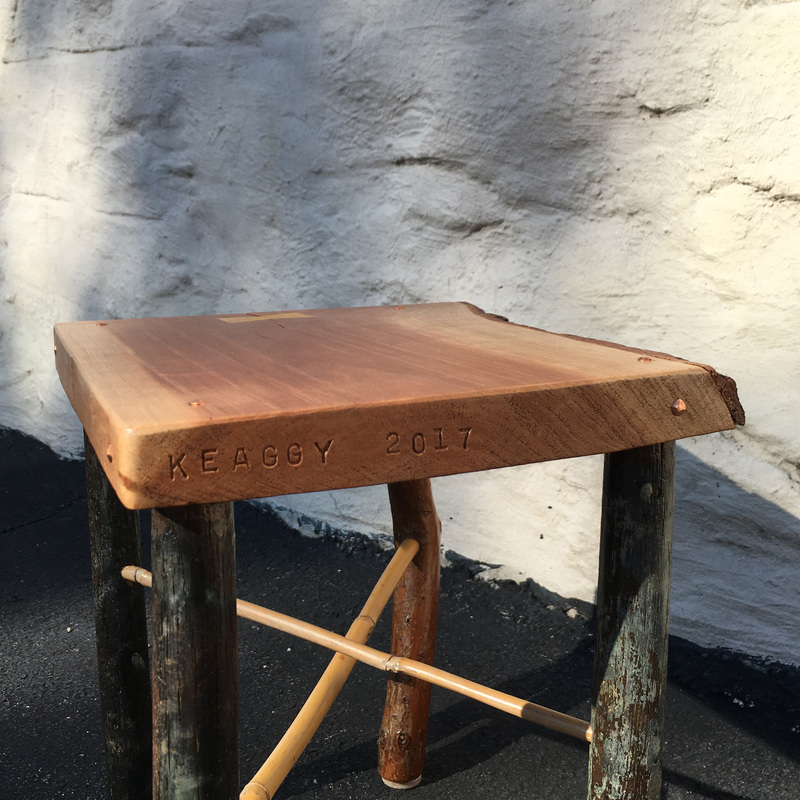 It probably wouldn’t be right to call it woodworking, but it is working with wood. 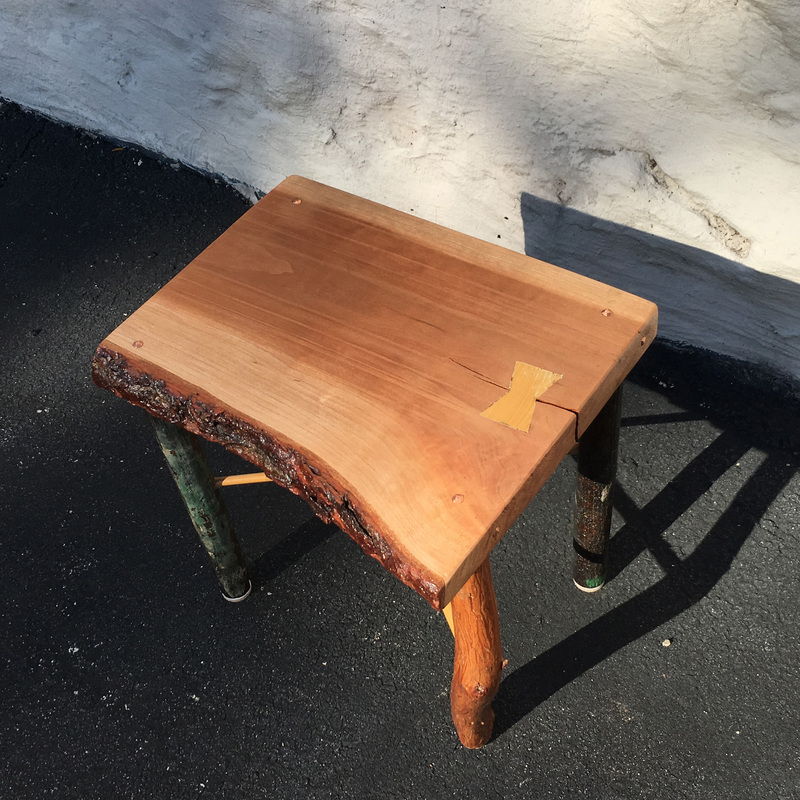 Everything’s very primitive, created almost entirely out of reclaimed/reused/repurposed wood. 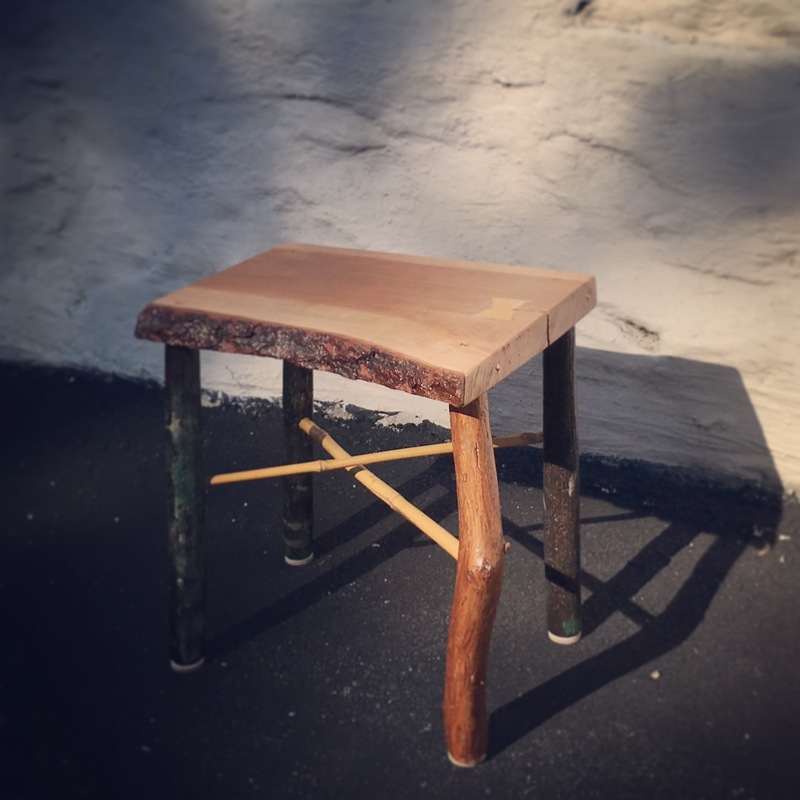 This small meditation stool has a reclaimed walnut seat, three legs made from old ladder rungs and one from a fallen branch, with struts that used to be bamboo garden climbers. The butterfly is a shim scrap. It’s got some decorative copper nails and they’re the only parts that weren’t salvaged. It’s about 12″ wide, 10″ deep, and 14″ tall. Sealed with Poly Whey.